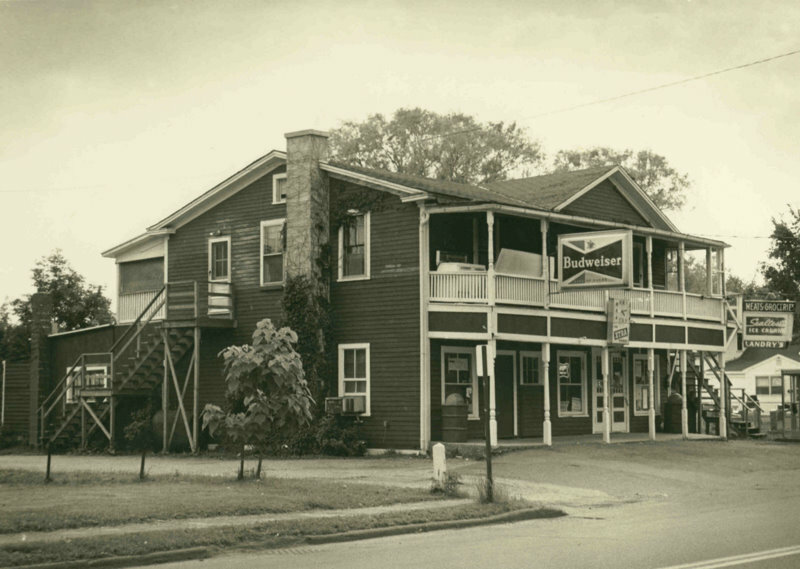 Landry's Market on lower Main Street with upper and lower porches and a large Budweiser sign in front. This building has been converted into apartments. Martin, John H. , “Landry's Market,” Digital Amherst, accessed April 23, 2019, http://digitalamherst.org/items/show/842.